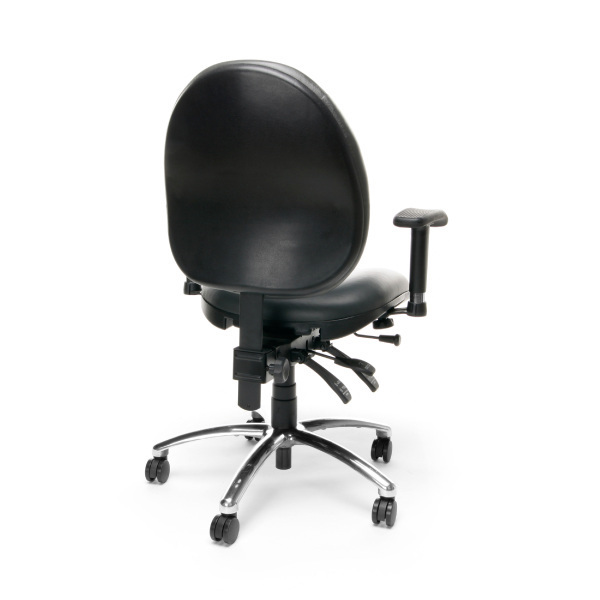 247-VAM Vinyl OFM Office Chairs - Big and Tall Task Chair. 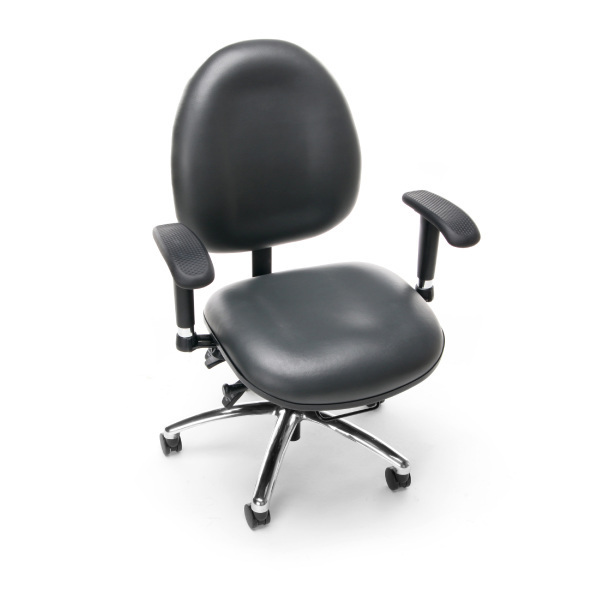 Get free shipping for this Big and Tall Office Chair when shipped to the continental 48 United States. 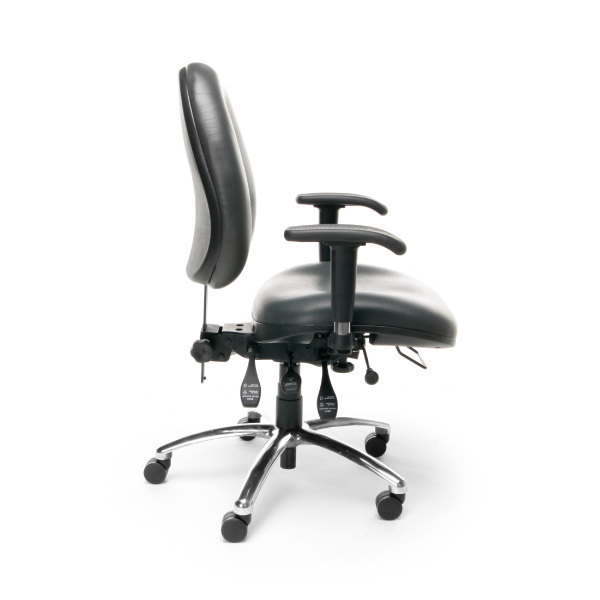 This chair supports weights up to 400 lbs. 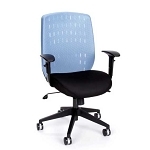 and provides great ergonomic support throughout the work day. Order your Vinyl Big and Tall office chair today. Seat Size: 20.25"W x 20"D.
Back Size: 19.5"W x 21"H.
Seat Height: 20" - 23". Base Size: 27" 5 Star. LTL Ship Weight: 67 lbs. I purchase this chair online and it was delivered in a couple of days. Assembling the 247-VAM was easy and took less than 15 minutes. Although the chair was heavy and sturdy, the comfort was not there. I sat in the chair and immediately the chair was a different feel from the chair I just retired. So I gave it a try anyway but each day my back is hurting worse. It also has some give, meaning once you are seated with correct posture suddenly it goes back a inch or two, so I readjust the levers and have the chair sitting straight up, same thing. The back support is killing me. It does not feel like it would hold this 67 325 body for more than a month. For the price and online experience (restocking fee 20%, shipping and handling fees, customer service) this product is NOT worth the price or experience. 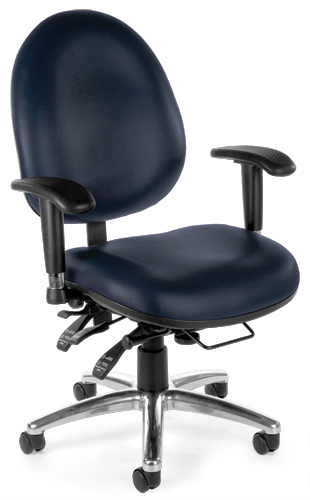 I hear the 800L is a better chair (heavy-duty big and tall executive chair). Fast Shipping: Orders for the OFM 247-VAM generally leave the warehouse within 1-2 business days. Dimensions: 27" x 27" x 17"